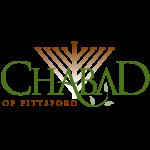 At Chabad of Pittsford, we believe High Holidays services should be open to every Jewish individual/ family with no fee requirements to attend. Chabad of Pittsford runs its programs on the generosity of donors who love seeing Jewish life happen locally for everyone. If you would like to help us by making a donation, you can do so here.